St. Bernard's Lodge merged into this lodge, 04/27/1996. Doric Lodge merged into this lodge, 05/13/2003. See also the pages for Doric and St. Bernard. By Wor. William H. Wright. It is eminently fitting that the members of United Brethren Lodge, who this day celebrate the seventy-fifth anniversary of the Lodge, should on this occasion cast a backward glance to its history, and render a full and true account of its achievements thus far accomplished. We have today invited our illustrious Brethren and friends to join with us on this happy occasion. All who were here at the beginning have long since gone to that undiscovered country from which no traveller returns; but their memory will be held in grateful remembrance by the present and future members of United Brethren Lodge for their unselfishness and loyalty to the Lodge. Marlborough, in its early days, was a town of large area, including the towns of Sudbury, Framingham, Southboro, Westboro, Hopkinton, Grafton, Shrewsbury, Northboro, Bolton, and Stow. In each of the towns mentioned there is, or has been, a Masonic Lodge. The first Lodge organized in what was once a part of Marlborough was Fredonia Lodge in Northboro. On March 12, 1810, a petition was presented to the Grand Lodge, from a number of Master Masons residing in the town of Northboro, for a Charter to hold a Lodge in that town, to be called Fredonia Lodge, which was read, being constitutionally recommended and sanctioned by R.W. Timothy Whiting, D.D.G.M. On January 1, 1811, a meeting of the Grand Lodge was held at Northboro for the purpose of consecrating Fredonia Lodge and installing its officers. Our ancient Brethren were commended to the consideration of Masons of the present day. It may be noticed that the members of this special Grand Lodge came a long distance to attend the consecration of Fredonia Lodge, and when we consider the season of the year, mid-winter, and that the only mode of conveyance was by stage coach, we must admire their conception of Masonic duty, as well as their fraternal goodwill manifested towards this Lodge. Upon application of a number of Brethren residing in Marlboro and vicinity, a Charter was granted them by the Grand Lodge of Massachusetts, with the name United Brethren Lodge, bearing the date September 8, A.L. 1824, with full power to appoint their officers. Upon receiving their Charter, the Brethren assembled at their hall in Marlboro, with Wor. Bro. Abraham Gates in the East, Seth Alden in the West, Richard Farwell in the South. They then proceeded to fill the remaining offices. At this meeting a committee chosen to procure furniture proceeded with great promptness and economy, for on September 29th, after their appointment, a bill for furniture amounting to $69.70 was presented for approval and allowed. Wor. Bro. Abraham Gates gave the Lodge many presents, and at this meeting presented the Lodge with a pair of compasses. The interesting question of where this first meeting was has been answered by our late Bro. Sylvester Bucklin, who informed us that Bro. Sullivan Thayer kept a tavern in the brick house now standing at the corner of Exchange and Main Streets, near the Russell House, occupied at the present time by Bro. Dr. C. L. Cutler, Jr., and that the Mason's hall was in an addition which joined the building on the east side and extended across what is now Exchange Street. This is in keeping with the olden custom of meeting in public houses, or taverns, as they were called. On December 29, 1825, a committee was appointed to take into consideration the subject of building a new hall. On August 30, R. W. Bro. William Whiting, D.D.G.M., attended the laying of the corner-stone with twenty-two members present. The location of this new hall, or Gates Academy, as it was afterward called, was near where the new high school building is situated. Progress in building was not as rapid in those days as at the present time and it was not until April 24, 1828, that it was dedicated in due form. Moving into the new Lodge-room infused life into the Lodge for a time, and the members were evidently well pleased with their new quarters; but the Anti-Masonic clouds had begun to gather, a most wicked warfare was made upon as noble and beneficent institution as was ever controlled by man. Lodges located in communities where every person knew every movement of his neighbor could not withstand the fierceness of the Anti-Masonic politician and many ceased to exist, old United Brethren among the rest. The last meeting was on October 27, 1830, seven true and faithful members and one visitor being present. The records of the Grand Lodge show that no returns had been received from United Brethren for the previous year. It may be reasonable to presume that the Grand Lodge demanded the returns or the surrender of the Charter. During the years from 1831 to 1859 there was no organized Lodge of Masons in Marlboro, and although the lapse of time had witnessed the death of the old Lodge, Freemasonry still survived. A new Charter was asked for and granted by the Grand Lodge under the date of November 29, 1859. The Charter members were: Wor. Bro. Alexander C. Felton, Wor. Bro. Burleigh Morse, and Brothers Chas. F. Morse, Sylvester Bucklin, Jonah Howe, J. S. Witherbee, Samuel Chipman, and many others. Of this number, Brothers Howe, Witherbee, and Chipman had been members of the old Lodge, twenty-nine years having elapsed since the last meeting of that Lodge. Seven of the Charter members were made Masons in Middlesex Lodge in Framingham, evidently with the intention of forming a new Lodge, as they all received the degrees during the months of September and November of that year. At a meeting on December 7, 1859, petitions for initiation were received and our Brethren were not long in getting into working condition, as on December 14, a week later, they met in the new Lodge-room. This room is the upper room in the building standing on the corner of Main and Maple Streets, then occupied by Boyd and Corey; later by Frank Este and now owned by our late Bro. Daniel F. Harrington. At the regular meeting on January 4, 1860, ten candidates were proposed. Nine meetings were held in January and the same number in February. A few years later they moved to the Corey Block and held their meetings there until it was their misfortune to lose by fire, on the morning of December 7, 1883, almost the entire contents of their well furnished and time-honored Lodge-room. The Charter dating back many years was entirely destroyed; the Jewels and the Great Lights, with such parts of the Officers' regalia were secured and taken care of by the Worshipful Master and Brothers. The Knights of Pythias very kindly and fraternally offered the use of their hall, and December 13 the Lodge met in Pythian Hall which was in the building now occupied by J. C. Penney & Co. When a committee was appointed to consider the matter of a permanent meeting place, they secured an agreement from Timothy Hazelton for a ten year lease on satisfactory terms for the whole upper floor in a block he was going to erect the following year. Most Worshipful Abraham H. Howland, G. M.
R. W. Sereno D. Nickerson, Grand Secretary. The Most Worshipful Grand Master gave a most interesting and instructive address to the Brethren. Numerous articles have been given to the Lodge from time to time; testimonials of the kindly relations between the donors and the members. On October 17, 1886, a valuable clock was presented by our late Brother Wor. Burleigh Morse, who was universally loved and respected as a man and a Mason by everyone who knew him. On January 1, 1890, a beautiful full length mirror was presented by our late Brother Wor. Geo. N. Cate. On October 15, 1890, a silver water pitcher from our late Brother Charles L. Bartlett, a most generous and true Mason. On April 6, 1892, Bro. Uriah Searles presented the Lodge with one hundred dollars from resident Masons towards new furniture for the Lodge-room. On January 17, 1894, Mizpah Chapter O. E. S. presented china and silverware. On February 6, 1895, a beautiful set of officer's aprons and collars from Bro. John A. Frye. On January 2, 1901, a set of working tools from Bro. Winslow Warren, and on May 6, 1905, a Masonic apron from Porto Rico was presented by Bro. Captain T. E. Jackson. On August 19, 1885, a committee of five was appointed to consider establishing a charity fund, which resulted in what is known as the Dollar Mutual Benefit Association, which still exists with our Brethren. The next six years saw a large increase in membership and on March 5, 1890, a committee was chosen to investigate the desirability of purchasing land to build upon. The committee, with Bro. Walter P. Frye as chairman, reported to the Lodge, on May 20, 1891, that they had bargained for the Fairmount block property, from Bro. Samuel Boyd, he having agreed to sell the property for $40,000 cash. Wor. Bro. Cate furnished the money, and for security took the deed to the property. It was not long before work was started remodeling the upper part of the building. Wonderful progress was made, due to the Master Architect as well as to the Master of Finance; and the Lodge, on October 5, 1892, adopted resolutions recognizing the masterly ability in architecture of Wor. Bro. Cate. The first Lodge meeting held in Masonic building was on February 10, 1892. Preparations for dedication were being made by a committee appointed November 11, 1891, consisting of the following members; Wor. Geo. H. Stacy; Wor. Geo. N. Cate; Wor. Benjamin F. Greely; Wor. Edwin H. Evans; Wor. J. Frank Childs; Bro. L. S. Brigham; Bro. Albert H. Perry; Wor. Edward A. Allen, and Wor. John L. Stone. On May 11, 1892, our new Lodge-room was dedicated and consecrated to Freemasonry by Most Wor. Samuel Wells, Grand Master, and Grand Officers. At six o'clock the Lodge and invited guests proceeded to the City Hall where a banquet was enjoyed, four hundred and fifty-five tickets having been sold for the occasion. On October 20, 1892, a meeting was held by members of the Lodge to formulate some plan by which the property once obtained should never pass out of Masonic control. So the plan was to form a corporation, whose membership should be limited to members of United Brethren Lodge; and it was voted to apply to the State authorities for a Charter, whereby such a corporation might be formed without capital. Such a Charter was granted on November 18, 1892. At this meeting fifteen Brethren were elected as trustees to serve till the annual meeting in January, 1893. This board of trustees, the same evening organized, by electing Bro. Geo. H. Cate, Pres. ; Loriman S. Brigham, Vice-Pres. ; Wor. John L. Stone, Treas. ; and Wor. Benjamin F. Greely, Sec., and the Marlboro Masonic Corporation was duly organized and ready for business. Sunday evening, November 14, 1909, previous to the fiftieth anniversary, United Brethren Lodge attended divine worship at First Church, Congregational, where our Chaplain, Rev. Bro. Albert H. Wheelock, was Pastor. The Lodge proceeded in a body to the church, led by the Marshal and Wor. Bro. C. Lester Bartlett as Worshipful Master. Bro. Francis W. Riley presided at the organ, and the Lodge quartet furnished music for the evening. Rev. Bro. James W. Fulton, pastor of the Methodist church, offered prayer and read the Scriptures, while the sermon was delivered by Rev. Bro. Wheelock, who took for his subject "Constructive Forces." "And they that shall be of thee shall build the old waste places," Isaiah 58:12. Rev. Bro. Wheelock in closing his sermon, spoke of the next fifty years of existence, "May United Brethren Lodge be workers together with God and build accordingly to His Word, the Great Light in Masonry. This is my wish, my hope, my prayer for you." During all these seventy-five years United Brethren Lodge has been true to the principles of Masonry; the members dwelling together in harmony, patriotic, and deeply interested in public-spirited enterprises in the government of Marlboro. United Brethren has had 40 Past Masters, of whom 20 are living. Four of our members have served as District Deputy Grand Masters; R. W. Winfield Temple served as Senior Grand Warden, and Wor. Eugene Closson as Junior Grand Steward. Since our Fiftieth Anniversary, death has claimed twenty of our Past Masters. Many incidents of interest to Masonry have occurred in the seventy-five years, many officers have served United Brethren with great ability and self-sacrifice. We honor them all, as we honor tonight our oldest living Past District Deputy Grand Master, R. W. George R. Hall, who was Deputy in 1910. Brother Hall has been forty-nine years a Mason, having joined United Brethren Lodge December 2, 1885. "Past Masters Nights" have been a very pleasant feature during the past years and have always been honored by a large number of visitors from neighboring Lodges. There have been seven Treasurers and ten Secretaries who have faithfully served the Lodge. Wor. Bro. Charles S. Thompson served sixteen years as Secretary. Nine Chaplains have been appointed since 1861. Bro. Joseph W. Barnes held the office for seventeen years, until he moved to the state of Idaho in 1908. The number of Tylers that have served the Lodge Is nine. Bro. Albert H. Perry was Tyler for thirty-one years, and our well beloved Tyler, Bro. Geo. L. Smith who is our present Tyler, has served for the past twelve years, and the excellent condition of the furniture and Lodge-room after many years of use and occupancy is a sufficient testimonial of his faithfulness. During the World War, United Brethren was unusually active, as were other Lodges in the State. Dispensations were granted to facilitate the raising of those who were entering the service of the nation and to those who enlisted or were drafted. Dues were remitted and remissions were continued until the war ended. On September 16, 1929, United Brethren Lodge held the dedication of Amos A. Cutting Memorial Organ, with Wor. Lyman W. Evans, Master of Ceremonies. The organ committee consisted of Wor. William H. Witherbee, Chairman; Right Wor. Winfield Temple; Bro. Alfred W. Hastings; Bro. James F. Bigelow; Bro. 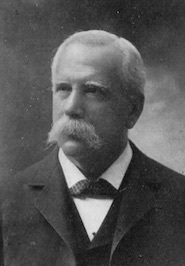 William H. Donoghue. Tonight we are happy to honor our two oldest members of United Brethren Lodge, Bro. Louis P. Howe, and Bro. Charles A. Cook, who have been Masons since 1879. Tonight we are celebrating the seventy-fifth anniversary of United Brethren Lodge. With a very humble spirit we look back upon the years that are gone, upon the labors of those sterling Masons who laid the foundation of our Lodge, upon those loyal and faithful Brothers who continued the building, and our heartfelt prayer to the Supreme Architect of the Universe is, that under His Guidance we too may continue the building, making our lives as living stones shaped and polished by the Master of all good work. The visit tonight of our Right Worshipful Albert A. Schaefer, Deputy Grand Master, and his suite of Grand Lodge Officers, who are here to share our observance of the seventy-fifth anniversary of United Brethren Lodge is a most pleasant feature and we most heartily and cordially welcome them to our gathering. We are sorry to know that our honored Most Worshipful Grand Master Curtis Chipman, could not be here tonight. We know him to be a great leader in this time-honored Institution. His decisions are wise and just, and our admiration goes out to him in his great work as leader of the oldest American Masonic Grand Lodge. Preparation of this history would not have been possible without the historical Records of the late Wor. Bro. John L. Stone, who gave the historical address at the fiftieth anniversary of the Lodge in 1909; and the kind cooperation of our present genial and efficient Secretary, Bro. Ernest L. Faunce. The real history of United Brethren Lodge does not consist only of dates, facts, or statistics. It is written deep in the hearts of our members. Allegiance to the principles of our Order and association with the Brethren, have strengthened the character and ennobled the lives of all who have been under this mighty and glorious influence. As we commemorate the 100th anniversary of United Brethren Lodge, we look back over its history to the events preceding this milestone in the activity of Masonry in Marlboro. Freemasonry traces its clearly defined history from the year 1717, when four Lodges in London, England, constituted themselves into a Grand Lodge. Acting under a commission by the Grand Master of Free and Accepted Masons of England, which appointed him Provincial Grand Master of New England, Henry Price in 1733 constituted The First Lodge in Boston, as the first of many Lodges in Massachusetts. Marlboro at one time included the area of the present towns of Southboro, Westboro, Northboro and much of Hudson. The earliest Lodge in this large area was Fredonia Lodge of Northboro, which was in existence from 1810 to 1833. A predecessor Lodge in Marlboro itself, also called United Brethren, was in existence from 1825 to 1830. From 1831 to 1859 Masonry was contending against the opposition of the anti-Masonic movement, and the Lodge in Marlboro was dormant. Of these, three had been members of the older United Brethren Lodge, which had not met for twenty-nine years. Seven of the charter members had been made Masons in Middlesex Lodge in Framingham during the fall of 1859. Committees were chosen to procure furnishings for the lodge-room and to prepare by-laws. The first initiation was held on January 6, 1860. "United Brethren Lodge constituted at Marlboro October 16, 1860, A. C. Felton Master. The ceremonies of constituting the lodge were performed by the Grand Master in person, assisted by the grand officers. The new hall, which is one of the finest and best furnished and arranged in the state, was also dedicated by the Grand Master on the same day, and in the evening the officers were installed by the R. W. Junior Grand Warden in the presence of a large number of brethren and their ladies. The occasion was a very agreeable one, "and the lodge is one of the most promising in the jurisdiction." On December 23, 1863, permission was requested to form a new-Lodge in Feltonville, now Hudson. The request was granted, and Doric Lodge was formed. In 1866 Siloam Lodge in Westboro was formed. On June 11, 1867, a Chapter of Royal Arch Masons was organized. On August 14, 1867, St. Bernard's Lodge of Southboro was formed. United Brethren Lodge at that time was located in the Corey Block, which was burned December 7, 1883. The lodge-rooms were badly damaged by fire and water, the charter was destroyed, but the records were saved. After meeting temporarily in Pythian Hall, United Brethren Lodge's new lodge-rooms in Hazelton Block were dedicated on October 14, 1885, by M. W. Abraham H. Howland, Jr., and officers of Grand Lodge. The first annual meeting held in Hazel-ton Block was October 21, 1885. In the next six years the membership increased, and the Fairmount Block was purchased from Bro. Samuel Boyd for $40,000. Furniture in the lodge-room in Hazelton Block was sold to the Order of Red Men, and a committee was chosen to purchase new furniture. The first Lodge meeting held in the present Masonic building was on February 10, 1892. On May 11, 1892, the lodge-rooms were dedicated according to Masonic usages by M. W.Samuel Wells, Grand Master, and Grand Officers. An address on "Symbols" was given by Rev. Bro. E. C. Bolles of New York City, with singing by the Temple Quartet of Boston. A banquet for a large number of members of the Lodge and their invited guests was held in City Hall, followed by entertainment in the lodge-room. On November 18, 1892, the Marlboro Masonic Corporation was incorporated, as a means of insuring Masonic control of the property. Alterations to the Fairmount Block had cost $15,000; this sum plus the original cost of the block brought the cost to $55,000, of which part was covered by mortgage, and part by the endorsement of twenty guarantors, who personally took the risk of loss. On January 17, 1893, the first annual meeting of the corporation was held. From time to time extensive repairs have been made to the property, and in 1909, purchase was made of additional land to the south, made available by the burning of the old Marlboro theatre. On November 15, 1909, United Brethren Lodge observed its 50th anniversary. The committee on arrangements consisted of Wor. C. Lester Bartlett, Chairman, Brothers G. Otis Adams, Clifton B. Russell, Charles S. Thomson and Wor. Clifton F. Whitney. The program included musical selections by the Harvard Quartet, reception of Grand Officers, an address of welcome by Wor. C. Lester Bartlett, response by M. W. Dana J. Flanders, Grand Master, History of United Brethren Lodge by Wor. John L. Stone, an address by the Grand Master, and remarks by M. W. Edmund B. Mallett, Grand Master of Maine. A banquet was followed by installation of officers by R. W. Melvin M. Johnson, Senior Grand Warden, assisted by Wor. Harry P. Ballard, Grand Marshal. On May 2, 1913, Amos A. Cotting, who was born in Marlboro in 1826, died at the age of 87 years. At the time of his death he was the oldest Mason belonging to the Lodge, and was an honorary member since 1911. He generously remembered United Brethren Lodge in his will. On February 4, 1914, at a Lodge meeting plans were discussed for a club room in the building, and a committee was appointed. On March 4, the committee recommended remodeling certain rooms on the second floor. The report was accepted and money voted for alterations. On June 3rd it was announced that work was completed. September 16, 1927, was marked by the dedication of the Amos A. Cotting memorial organ, with Wor. Lyman W. Evans, Master, in charge. The organ committee consisted of Wor. William H. Witherbee, Chairman, R. W. Winfield Temple, Brothers Alfred W. Hastings, James F. Bigelow, and William H. Donoghue. At its regular meeting December 5, 1934, with an attendance of 125 members and 185 visitors, United Brethren Lodge observed its 75th anniversary, with R. W. Albert A. Schaefer, Deputy Grand Master, and Suite in attendance. Wor. Walter L. Huntington, Master, delivered the address of welcome. The anniversary committee members were Wor. Walter L. Huntington, Wor. Clifton F. Whitney, Wor. 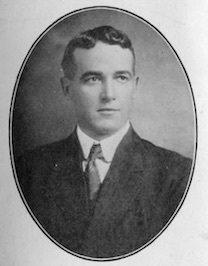 Leroy M. Craig, Bro. Charles A. Cook, Wor. William H. Wright and Wor. Bradford P. Cutler. A turkey banquet was served by members of Mizpah Chapter, Order of the Eastern Star. Following the banquet, the Lodge charter was read by Wor. Clifton F. Whitney, an historical address was given by Wor. William H. Wright, and an address, prepared by Rev. Bro. Albert E. Beaumont, Chaplain, was read by Wor. Leroy M. Craig. Rev. Bro. Albert H. Wheelock, who was Chaplain at the observance of the 50th anniversary, acted as Chaplain of the Lodge. Remarks were made by R. W. Albert A. Schacfer, Deputy Grand Master, by R .W. George R. Hall, oldest living Past Master, Bro. Louis P. Howe, Bro. Charles A. Cook, and Rev. Albert M. Wheelock. A musical program was given by the Anchor and Ark Glee Club of Maynard, under the direction of Wor. Gavin A. Taylor, Jr. In 1938 Marlboro was visited by the hurricane of that year. This storm, which toppled steeples and tore off roofs throughout the city, caused extensive damage to many buildings, including Masonic Hall. Repairs were made and the hall continued to serve the Lodge, Chapter and affiliated bodies. The two large paintings on the south wall of the lodge-room, which exemplify part of the symbolism of the degrees, were also damaged by the storm but were carefully restored by Bro. Austin H. Cain. The Masonic building, which because of its age and continual use, has been subject to frequent repairs, owes much of its present state of preservation and maintenance to the officers and trustees who have devoted so much time and energy to its care. A few years ago the carpet which had served United Brethren Lodge for approximately 60 years was renewed, and the Lodge was newly-decorated. New lights were placed at the several stations in memory of R.W. Winfield Temple, Past Senior Grand Warden, a devoted member of United Brethren Lodge. Wor. John M. Schleyer, Jr. The thanks of all present go to this Committee, and to the many distinguished guests who have attended this observance. United Brethren Lodge has had 66 Masters in the century since its organization. Of these, R. W. Brothers George A. Stacy, George R. Hall, Winfield Temple, William H. Wright, Walter L. Huntington and Richard S. Temple have been further honored by serving as District Deputy Grand Masters. In a world of unrest and change, United Brethren Lodge holds fast to the ancient landmarks. Persons properly prepared seek admittance at the door and advance in orderly progress, learning the lessons taught by the symbolism, enjoying the fellowship of kindred souls, and applying to their daily lives, each according to the demands made upon him and to his ability, the lessons learned in the Lodge. A Lodge by this name was constituted at Marlboro in this State, on the 16th October last: A. C. Felton, Master. The ceremonies of constituting the Lodge were performed by the Grand Master in person, assisted by the Grand Officers. The new hall, which is one of the finest and best furnished and arranged«in the State, was also dedicated by the Grand Master on the same day, and in the evening the officers were installed by the R. W. Junior Grand Warden, in the presence of a large number of Brethren and their ladies. The occasion was a very agreeable one, and the Lodge is one of the most promising in the jurisdiction. S. J. Shaw, S. W.
E. A. Bradley, J. W.
P. E. Millay, S. D.
J. W. Romans, J. D.
C. E. Hall, S. S.
M. H. Albee, J. S.
Marlboro:— United Brethren Lodge of Free and Accepted Masons, at their regular communication last month presented W. M. Geo. H. Adams, with a gold Past Master's jewel. The lady friends of the Lodge were present In large numbers. Wm. S. Frost made the presentation speech, which was replied to In a very feeling manner by Mr. Adams. Delegations were present from St. Bernard Lodge, Southboro, and Doric Lodge, Hudson. The Masonic Fraternity of Marlboro' and vicinity, with their ladies, enjoyed a very interesting occasion last evening. November 23, at Masonic Hall, in witnessing the installation of the officers of the United Brethren Lodge and of Houghton Royal Arch Chapter, — a combination of events rarely occurring in the Order. The evening being pleasant, the company was large, embracing many from other towns. The ceremony was performed by Mr. A. F. Chapman of Boston, Grand King of the General Grand Chapter of the United States, representing the Grand Chapter of Mass. He was assisted by Com. N. S. Chamberlain, P. H. P., as Grand Marshal. Lodge.— W. M., H. W. Whitney; S. W., John S. Felton; J. W., B. F. Greely; Treas., John L. Stone; Sec'y, B. F. Underhill; S. D., E. S. Hallett; J. D., Amos A. Cotting; S. S., Chas. H. Palmer ; J. S., S. S. Townsend; C, N. Witherbee; S., Jos. Barnes; M., A. H. Perry; T., Geo. E. Sherman. Chapter. — E. H. P., Burleigh Morse; E. K., T. A. Coolidge; E. S., Geo. 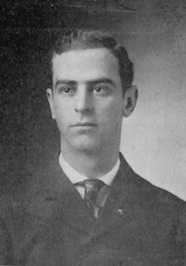 H. Whitney; Sec'y, Will. Onthank; Treas., A. K. Graves; C. of H., Fred. Jewett; P. S., John L. Stone; R. A. C., Lewis I. Hapgood; 3d V., A. H. Perry; 2d V., C. Walter Rice; 1st V., Churchill S. Stevens; Tyler, Geo. Sherman. At the close of the exercises in the Hall the company was invited to a banquet which Rice Brothers of the Central House had prepared in Temperance Hall adjoining. The tables presented a tempting array of viands, reflecting great credit on the good taste and generosity of the caterers. The Lodge and Chapter united in all the arrangements in both Halls, and, by request of Master Whitney, the High Priest of the Chapter, Burleigh Morse, presided. After the feast of the good things eatable, the feast of reason was opened by a characteristic speech from the President. Grand King Chapman followed in response to a sentiment in honor of the Grand Chapter, with a speech replete with wise and witty things, which was much enjoyed. Rev. Miss L. Haynes followed in an interesting address, alter which Rev. N. B. Fiske made an excellent speech, and the exercises closed with a good-night song by the choir. The speaking was interspersed with vocal and instrumental music, the latter by Mr. R. H. Nichols, violinist, and Mrs. Eva Ball, pianist, both of Southboro'. The foregoing report is from the "Marlboro' Mirror," to which we may add that the Rev. Miss Haynes made a speech, very complimentary to Freemasonry,— saying that her observation and experience Confirmed her belief that the Institution is well worthy of the support of all good and charitably disposed people. It has long been a custom with the Masons of Marlboro to indulge in the public ceremonies incident to the installation of the officers of the Lodge, and more recently of the Chapter. At these occasions the ladies connected with the families of the brotherhood have been admitted, and, as a consequence, none have more fully appreciated the annual return of the evening of installation, than they. Wednesday evening, December 17, the officers in United Brethren Lodge and Houghton R. A. Chapter, were installed in the presence of a large audience, including ladies and brethren from Hudson, as well as those from Marlboro. At the close a line collation was served, at which all were seated, and this was followed by speeches from the Installing officers, the Master of the Lodge, High Priest of the Chapter, and other well-known resident brethren During the evening some fine quartette singing was given by male voices. The ceremonies were conducted by Past Master and Past Grand High Priest, Alfred F. Chapman of Boston, assisted by W. Bro. T. F. Martin of Lynn. Among the officers installed will be recognized the names of several well-known business men of Marlboro and Hudson. The officers of the Lodge are: George H. Whitney, W. Master; Benjamin F. Greeley, S. Warden; Edmund S. Hallett, J. Warden; John L. Stone, Treasurer; Benjamin F. Underhill, Secretary; Nahum Witherbee, Chaplain George H. Brigham, Marshal; Edwin A. Evans, S. Deacon; Louis P. Howe, J. Deacon; Charles H. Palmer, S. Steward; Winslow Arnold, J. Steward; Charles S. Whitney, Sentinel; Albert H. Perry, Tyler. The officers of ths lodge in Marlboro, Mass., installed Oct. 13th, at Masonic Hall, are Edwin H. Evans, W. M., J. Francis Child, S. W., George A. Stacey, J. W.; John L. Stone, Treasurer; Lewis M. Frye, Secretary; George Ivers, Chaplain; George B. Copeland, S. D.; G. R. Hall, J. D.; C. H. Stevens, S. S.; Edward E. Oliver, J. S.; Charles S. Whitney, Sentinel; A. H. Perry, Tyler. R. W Harvey N. Shepard conducted the ceremonies, assisted by W. Charles E. Phipps as Marshal. . . The occasion was open so far as to admit ladies of the families of the members of the lodge and Chapter. A banquet was served, closing with speeches from the installing officers and several members of the two bodies. The new Masonic apartments in Marlboro were much admired for their neatness and adaptability to the requirements of the occupants. The fiftieth anniversary of the establishment of United Brethren Lodge, Marlboro, Mass., was celebrated Monday, November 15th with elaborate ceremony and social festivities in the presence of a large company of the members of the fraternity and ladies. The exercises were preceded by a special service in Union Congregational Church on Sunday at which time an able discourse on "Constructive Forces" was delivered by Rev. Brother Albert H. Wheelock, Chaplain of the Lodge. The exercises of Monday began at 3.30 o'clock and included music, addresses and a banquet. Most Worshipful Dana J. Flanders and other officers of the Grand Lodge were present. Grand Master Flanders was formally received by Worshipful Master C. Lester Bartlett, who gave a most cordial welcome to the representatives of the Grand Lodge. Grand Master Flanders responded expressing his pleasure at the privilege of taking part in the anniversary ceremonies. An important feature of the occasion was the historical address of Worship-ful Brother John L. Stone, whose patient investigation of Masonic history in Marlboro has well fitted him for the position of historian. United Brethren lodge was established in 1859, its charter bears date November 29, 1859. Brother Stone traced the history of the lodge with considerable minuteness from that date until the present time. Masonry began in Marlboro before this lodge was established and the value of Brother Stone's history was very much increased by his account of an earlier United Brethren lodge which was chartered Sept. 8, 1824, and whose records were continued until October 27, 1830. We are glad that Brother Stone included these facts in his history so they may be permanently recorded. In one way they are of more importance than the history of the present lodge, because it insures their preservation, regarding the other we have no fear as long as the lodge continues to exist. A banquet was served at 6 o'clock which was enjoyed by a company of 850, including ladies. Following the banquet came the installation of the officers of the lodge. This ceremony was performed by Right Worshipful Melvin M. Johnson, Senior Grand Warden, assisted by Worshipful Harry P. Ballard, grand marshal. The officers installed were: George O. Adams, Worshipful Master; Charles S. Thomson and William H. Witherbee, Wardens; Clifton B. Russell, Treasurer; Clifton E. Whitney, Secretary; Rev. Albert H. Wheelock, Chaplain; Eugene O. Brigham, Marshal; Leroy M. Craig and Walter E. Fiske, Deacons; Carl I. Stevens and Ernest A. Larrabee, Stewards; Charles S. Whitney, Sentinel: Francis W. Riley, Organist, and Albert H. Perry, Tyler. May Day was observed by the members of United Brethren lodge of Marlboro, Mass., by one of the most interesting occasions in the history of the lodge. It was the first roll call of the lodge and was held on the 20th anniversary of the occupancy of their hall. It was especially interesting by the presence of its old members. Grand Master Everett C. Benton was also a guest. He was attended by George C. Thacher, Grand Marshal; P. D. Newton, District Deputy Grand Master of the 24th District and his Marshal, Edgar M. Smith. There were also present the Masters and other officers of several lodges in nearby towns, and a large number of the members of United Brethren Lodge, many of them coming a considerable distance in order to respond to the roll call. A noticeable and gratifying feature was the presence of three of the oldest members of the lodge. They are Fred J. Jewett of North Attleboro, 86 years old, Amos Cotting, 86 years old, Winslow M. Warren, 85 years old. The lodge was opened for business at 6 o'clock, this was followed by a banquet. At the conclusion Brother John L. Stone who has been Treasurer of the Masonic corporation for 20 years, was presented with a loving cup and a Past Master's apron. The presentation was made by George A. Stacy, past master. B. F. Greeley, who has been secretary of the corporation during the same period, was given a past master's apron, Past Master C. F. Whitney making the presentation. Albert H. Perry, who has been Tyler of the lodge for 32 years, was given a Tyler's apron, Past Master George R. Hall making the presentation speeches. All of the presentations were surprises and were unusually pleasing events in the program. Grand Master Benton gave some interesting remarks and presented the lodge with a gavel made from the cedar of Lebanon, telling how it came from Masons, conveyed by Masons to Masons, which was accepted by the Master of the lodge with words of thanks. There was singing by the Harvard Quartet and remarks by Worshipful Master Charles S. Thomson and others concluding a delightful event that will be long remembered with pleasure. On Saturday, April 11, 100 United Brethren Lodge members and guests saw a rare Masonic ritual: a mortgage burning service. This ritual, performed by Grand Master Pageau, included a rededication of the lodge. The lodge was symbolically anointed with the traditional corn, wine, and oil by Grand Lodge officers. Following the rededication, Grand Master Pageau consigned to the flames the cancelled mortgage note. This page was last modified on 27 December 2018, at 10:35. This page has been accessed 18,495 times.